We had a great time in Nevada in June! Mark your calendars for the upcoming meeting in Roanoke, VA, June 8-11, 2019. Our association is a robust and diverse set of educators, researchers, medical professionals, volunteers and academics that come from all walks of life and from around the globe. Each month we choose a member to highlight their academic and professional career, and see how they are making the best of their membership in IAMSE. This month’s Featured Member is Larry Hurtubise, MA. 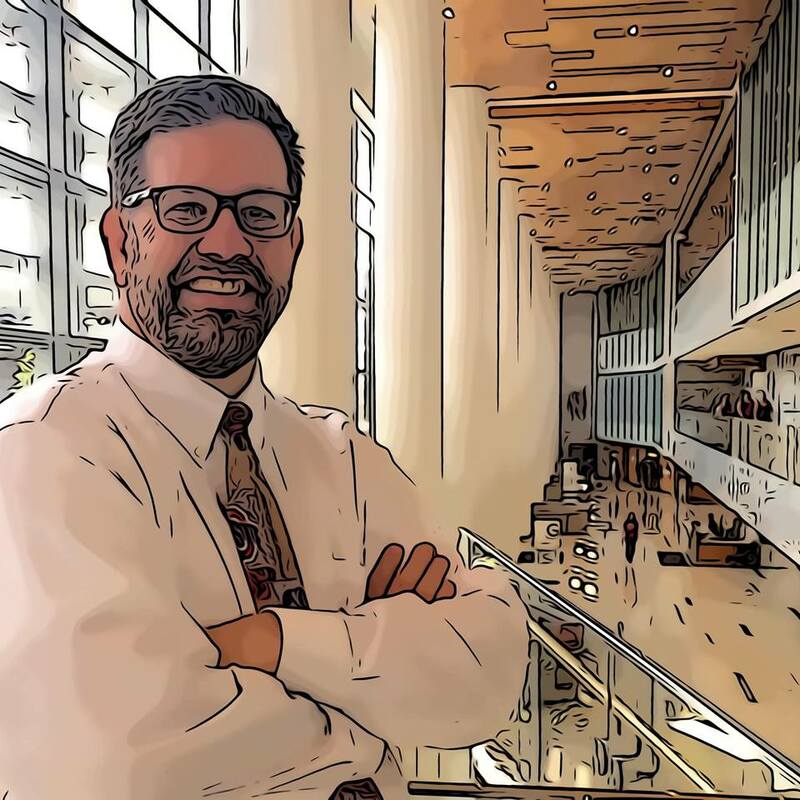 Christopher Burns, PhD, NRAEMT has been promoted to full professor in the College of Medicine at Roseman University of Health Sciences in Las Vegas, Nevada. He is Professor of Biomedical Science and Director for Case-Based Learning. Dr. Michiel Schokking recently became a Junior Principal Lecturer (JPL) 2019-2021 in Radboudumc, Nijmegen, Netherlands. In 2017 he finished his Fellowship Program at IAMSE, which helped him to obtain the mentioned JPL at his institution. Kerstin Höner zu Bentrup, PhD was recently awarded the Presidential Award for Graduate and Professional Teaching at Tulane University. The President’s Awards for Excellence in Teaching were established in 2000 and have been given to full-time faculty members who have a sustained and compelling record of excellence in teaching and learning and an ongoing commitment to educational excellence. Dr. Sateesh Arja received the senior fellowship awarded by Advance Higher Education (formerly called Higher Education Academy), the UK in April 2018. This senior fellowship consolidates the personal development and evidence of influencing other colleagues’ professional practice in the higher education career. This fellowship also demonstrates the commitment to teaching, learning, and the student experience, through engagement in a practical process that encourages research, reflection, and development. Melissa Murfin, PA-C, PharmD, BCACP was promoted from assistant to associate professor this year at the Elon University Department of Physician Assistant Studies. The Organizational Development Committee has entered a partnership with the Finance Committee and will work to enhance funding for travel scholarships, grant support, and other needs of the organization. The Student Professional Development committee promotes student inclusion in IAMSE and student success outside the classroom. To accomplish these goals, the committee oversees activities that are primarily directed toward student participants occurring at the annual conference and throughout the year. Specific areas of emphasis include enhancing research and scholarship, networking, and career building opportunities for students. The committee works closely with students and uses their input and feedback to establish our goals and guide activities to accomplish them. The Membership Committee has developed 3 goals to fulfill its charge of increasing and retaining members and evaluating the needs of members: 1) Continue to enhance PA educator involvement and membership, 2) Pilot an ambassador program to increase membership from countries that are underrepresented in the IAMSE membership, and 3) Send a survey to assess the needs of our members. Stay tuned for updates on these initiatives, and please respond to the upcoming survey! The WAS Committee is busy putting the finishing touches on the Fall series, Evolution and Revolution in Medical Education: Technology in the 21st Century, which begins Thursday, September 6 at 12pm EST. Planning is in full swing for both the Winter and Spring series. Stay tuned! We know you have colleagues who would benefit from IAMSE membership! Encourage them to join by having them visit our members only site. Don’t forget to keep your member profile up-to-date. If you haven’t updated in a while, take a minute to do so when you log in here!